Ole Gunnar Solskjaer’s hopes of clinching silverware as Manchester United interim manager took a hit on Saturday night. With an FA Cup semi-final spot on offer, the Red Devils fell to a disappointing 2-1 defeat to Wolves at Molineux. Raul Jimenez and Diogo Jota’s second-half goals ended United’s cup run and landed a further blow to the Solskjaer momentum train after last week’s league reverse at Arsenal. Here are five things we learned from the Wolves game. The honeymoon period is well and truly over. If victory over Paris Saint-Germain put Solskjaer in dreamland, the two games since have brought him crashing back down to reality. Last week, United were beaten in the Premier League for the first time under the Norwegian. This week, they saw their FA Cup hopes go up in smoke. United have suffered on all three fronts over the past week; they’ve lost ground in the top-four race, squandered their best chance of silverware this season and face the prospect of going up against a frighteningly in-form Lionel Messi and Barcelona in the Champions League. The international break offers Solskjaer and his coaching staff a much-needed reprieve but it does not get any easier once club action resumes. United face Watford – who did make it through to the cup semis – on March 30 before returning to Molineux for revenge three days later. There are also two legs against Barca and back-to-back league encounters with Manchester City and Chelsea before the end of April. This is where Solskjaer will really be tested. 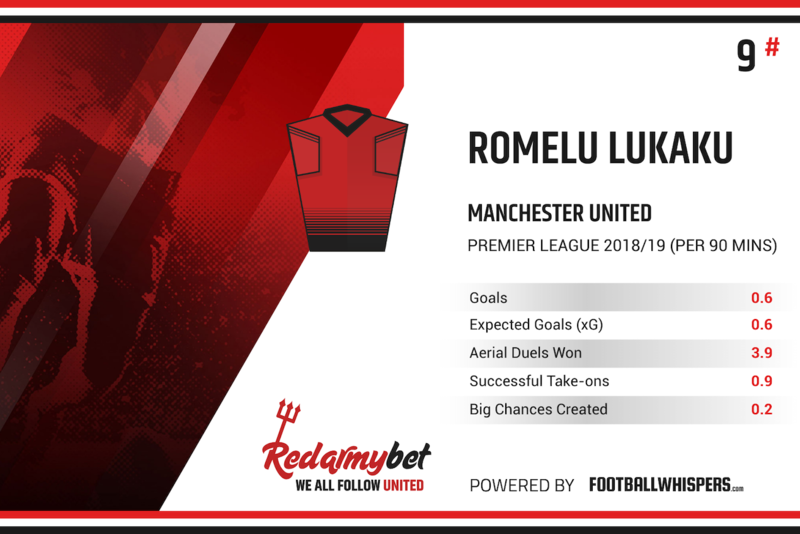 Romelu Lukaku has been in great form of late and United clearly missed the Belgian on Saturday evening. The 25-year-old offers physicality, aerial prowess and hold-up play in attack, all of which were absent at Molineux. Marcus Rashford and Anthony Martial were unable to unnerve Conor Coady, Willy Boly and Romain Saiss, who were rock-solid at the back for the hosts. It would have been different had Lukaku been fit. Assuming the Belgian is fit for the league clash in April, United should be able to offer a more potent threat up front. It’s always easy to say in retrospect, but both of Wolves’ goals were soft from United’s perspective. Joao Moutinho, not known for his ball-carrying abilities, danced his way through three half-hearted challenges to create Jimenez’s opener. And Luke Shaw will have been furious with his involvement in the home side’s second. Having already failed with a hopeful punt into the Wolves penalty area after a cleared corner, the left-back allowed Jota to get to the ball. The forward proceeded to nutmeg Shaw before the United man lost his footing. It wasn’t all on Shaw. Victor Lindelof, having come across to meet Jota, failed to make any sort of attempt to stop the shot while Sergio Romero, United’s strongest performer on the night, was beaten at his near post. Overall, the shakiness and indecision that plagued United’s defence on Saturday cannot continue in the final eight weeks of the season. With Leander Dendoncker, Ruben Neves and Moutinho all working tirelessly in the Wolves midfield, Paul Pogba endured one of his most subdued displays under Solskjaer. With Martial and Jesse Lingard experiencing off-nights, too, United looked desperately short of ideas. Nemanja Matic and Ander Herrera are never going to offer much going forward, so it was disappointing that Solskjaer did not act sooner. He brought Andreas Pereira on after Jimenez’s goal but waited until the 86th-minute to introduce Juan Mata, the player most likely to spot a gap in the Wolves defence. It was also telling that Fred was, once again, an unused substitute. The Brazilian may have conceded a penalty in last week’s loss at Arsenal but certainly offers more attacking instinct than Scott McTominay. One of the most disappointing aspects of United’s performance was Diogo Dalot. While he is still young (he celebrates his 20th birthday on March 18) and learning during his first year in England, the right-back has been given plenty of game time over the last couple of weeks. But, after winning the decisive penalty in the win over PSG, the Portugal U21 international struggled to make an impression against either Arsenal or Wolves. He managed just 32 touches at the Emirates before being subbed and failed to attempt a single take-on – a key aspect of his game – at Molineux. He was also culpable for letting Moutinho ghost past him in the build-up to Jimenez’s goal. With Antonio Valencia’s United career seemingly coming to an end, Dalot must take his chance to nail down his spot in the line-up.